Wesleyan, in partnership with PrestoSports, has launched a new athletics’ website, http://athletics.wesleyan.edu. The platform will serve as the home for all news, information, scores and schedules for the college’s 29 varsity athletics teams. PrestoSports has crafted a website that features not only a modern look, but also improved fan amenities. The website host has designed and built over 2,000 successful websites for college athletics, conferences, high schools and other sports organizations. The new website will provide fans, parents, alumni and media with easy access to game stories, press releases, video features, live statistics, photos and email sign-up, as well as a mobile app. 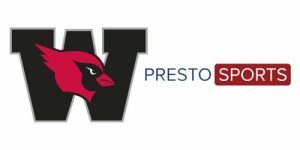 Working with the PrestoSports network, the site will give instant connections to scores and standings. The new design will contain several new features including an updated mobile interface, improved site navigation, a composite schedule page, embedded video, and an improved social media presence, among many others. Fans that visit the new and improved Wesleyan University Athletics’ website are encouraged to sign up for e-mails and the Wesleyan mobile app, and to subscribe to the Department’s social media channels for an enhanced fan experience; Facebook, Twitter, Instagram, and Flickr.